Protect yourself from cyber threats – 14 practical tips for a stronger security posture. Cybersecurity is a hot topic and a buzzword many people use today. We are somehow connected to the internet every day and most of the day, hence the necessity of cybersecurity. With the rise of increasing number of cyber threats such as ransomware, cyber bullying, sextortion, cyber espionage, social engineering attacks, financial theft, bank fraud, phishing scams etc. cybersecurity has become a subject of vital importance. Although there are no silver bullets for making a system or person 100% secure, we can do our best to keep ourselves away from cyber threats as much as possible. If we practice cybersecurity awareness every day, we will have a better security posture. There are many best practices here and the list could rapidly get very long. But in a nutshell, I will explain a few of the cybersecurity practices that are often highly recommended. Google Chrome provides users a benefit to surf websites in private mode. This does not necessarily mean that browsing is done as anonymous as you think or that the IP address is invisible. But it prevents third-party websites from tracking down your surfing patterns, also known as cookies. In the incognito mode, cookies are often disabled. Other browsers, for example, Safari and Firefox has the feature of using private windows that uses the same concept of browsing in temporary sandbox. Other benefits of private mode are, no bookkeeping of information on web pages that you visited, no saving of temporary internet files and no storing of data from forms or passwords. HTTPS Everywhere – Ensures that you would be able to browse only SSL/SSH/TLS encrypted webpages. Any unencrypted webpage will be blocked. Available for google chrome, safari and firefox. Ghostery – Blocks tracking data from third parties. It also allows you to maintain a whitelist of websites for your own security. Available for google chrome, safari and firefox. NoScript – Helps identify and block unknown scripts from running in your browser. Available for google chrome and firefox. For safari, alternative is JSblocker. ScriptSafe – Improves security of browser to help you allow websites run scripts that you want. It works very well with google chrome. VPN uses end-to-end encryption between hosts and the Server websites. Using VPN, web traffic is often encrypted with military grade encryption as a standard practice that protects your data from man-in-the-middle attacks. Another feature of VPN is also to help you to browse internet without revealing your real IP address. For security purposes, this is often recommended because doing so prevents disclosure of your personal information in some ways when you are connected to unknown networks. It is recommended for you to be careful while you are choosing a VPN service provider. Never choose a free for use VPN service provider, they are not 100% reliable. The problem is that they may save your log data with or without your consent and may sell it for making business profits. But commercial VPN services are much ahead with their professional service commitments with privacy and anonymity of customers. NordVPN for example, provides an automatic kill switch feature that automatically disconnects users from their internet connections avoiding their public IP’s exposed in unencrypted traffic. Search engines may track your data on your searching pattern, and you may end up as a product. They collect such data and very often sell to advertisers. Search engines that are run on donations may not track your data. A good search engine may also serve advertisements but may not track your browsing pattern rather keywords may be used for machine learning. Firefox is a privacy-oriented browser and search engine. Adblocker filters ads that pop up during browsing. Malicious adverts can also spoil the machine that you use every day. Adblock plus for google chrome can be a good choice. CheckShortURL is a tool for checking where condensed URL are actually taking you. Browserling allows you to visit a URL in their window on a remote session of few minutes. Another way out is to use a privacy-oriented browser in your favorite virtual machine so that your real machine does not get affected in case of a malicious infection resulting from visiting those websites. Virus Total gives the opportunity to scan for free the websites that you intend to visit against known malwares signatures available in popular antivirus tools. ScanURL is another tool that verifies the safety of a website against Google Safe Browsing Diagnostic, PhishTank, Web of Trust and other services. Filter your emails against spam and stop it from targeting you as a recipient. You should either mark as those emails that you suspect as spam or use a tool such as SpamFighter. To maintain privacy of your messages, videos, audio calls, encryption is necessary again for you and the ones that you communicate with. Examples, Telegram, Signal etc. encrypts all of the user data. Attackers target users on their activity that they share on social networking websites. It is crucial for privacy that you do not share your personal information on public mode whatsoever. Never also talk much about your personal habits and about the places you went, or how you spent your day tagging your friends and relatives. Say A big NO to all of these from today. Change your privacy settings that you have acquaintances with, and limit down your audience only to private circle in the group. In such a way, the information about you and your circle will be hardly accessible to outsiders. Whether on hard disk or online, also look to encrypt your data. Bitlocker may be used to encrypt your hard disk data on windows system and FileVault for Mac users. 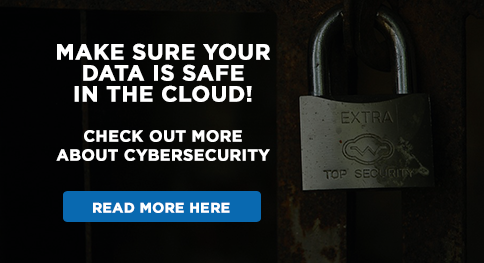 Always look for encryption capabilities with a cloud service provider when you want to put your data on their cloud storage. DropBox for example, uses AES 256-bit encryption on data at rest and uses SSL/TLS for encryption of data in transit. If you are on vacation and staying at a hotel that has a wi-fi connection, it is most likely that you need not require a password to get connected. And you might enjoy the fact that you do not have to pay for this free service either, but you were wrong. You are actually a source of valuable information to prying eyes that look for your credentials in such unsecure networks. Attackers can be on the same network as you are, and they might be sniffing your data traffic that you had been using. There are numerous instances that people using unsecure public wi-fi networks have ended up being compromised more often than not. It is far better that you use your own telecom provider’s data connection and stay safe while you are away from your home or office wi-fi networks. How do you manage your passwords when you have many accounts? Most probably you would prefer to use a single-sign-on for all of your accounts? This was the answer that I got from an attendee in a recent cybersecurity workshop. You cannot patch a human. Using same password for all of your different services that you use can be potentially dangerous. Imagine one of these services got compromised in a breach. Then you are most likely frightened that all of your accounts have been made accessible by yourself to an attacker who have your password. To manage this situation, password manager is a better way of taking care of your passwords. A password manager will save and encrypt your passwords of every accounts in a vault so that you do not have to remember your passwords. Password managers such as last pass, 1pass etc. provides an extra layer of security on top of AES 256-bit end-to-end encryption. This is a 128-bit unique secret key that is generated locally and only known to you. The truth is that you cannot be 100% secure but having some cybersecurity awareness will help you stay safe online to some extent.